Filed under raspberrypi on May 18, 2016. 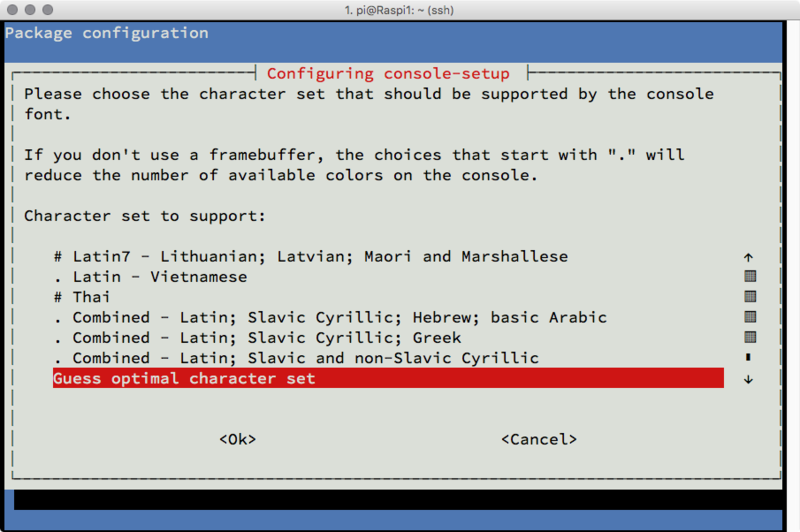 If you connect a Raspberry Pi to an HDMI monitor, you may find the terminal font size to be a bit small; especially if the monitor sits a foot or more away. This post demonstrates how to choose a different font size. If your Raspberry Pi boots to the desktop environment, exit the GUI to see the command prompt. 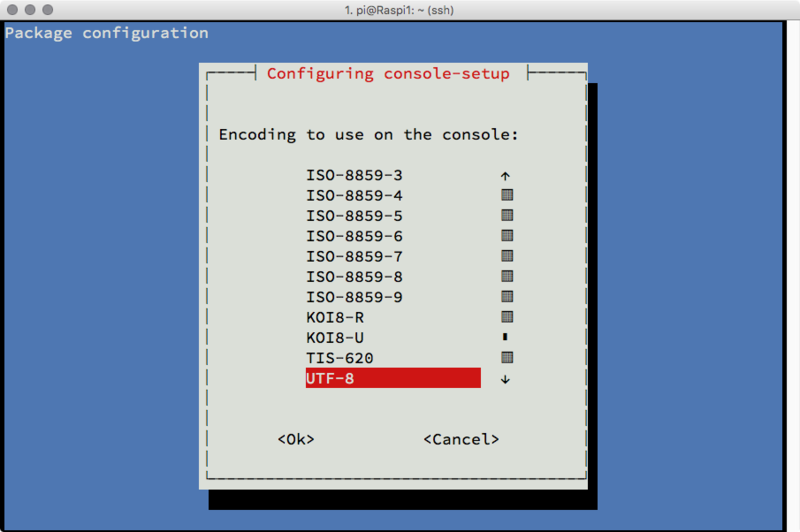 You can use the sudo raspi-config utility to modify the boot options for the Raspberry Pi if you always want to boot to the command prompt. 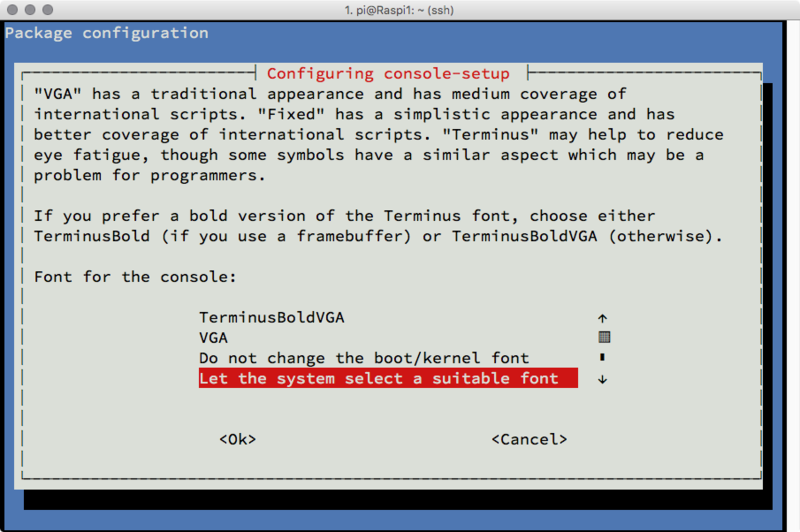 When the Raspberry Pi reboots, it will now use the selected font to display the console and command prompt. In my case, I have a monitor about four feet from my desk. The font size I use allows me to enter commands from my wireless Logitech K400 Plus comfortably.